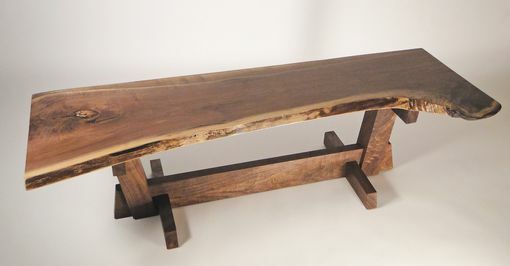 This coffee table/bench is a statement. 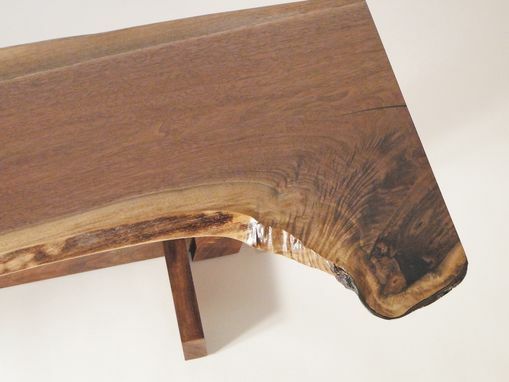 Using slabs from a felled tree, this table comes together as a conversation piece and spectacle in and of itself. 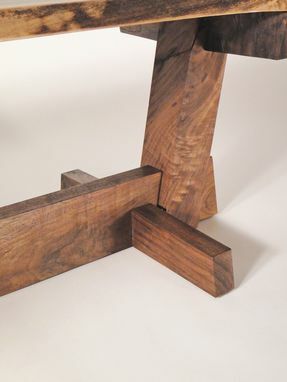 This is a solid black walnut table. Each of these are hand crafted and extremely unique. 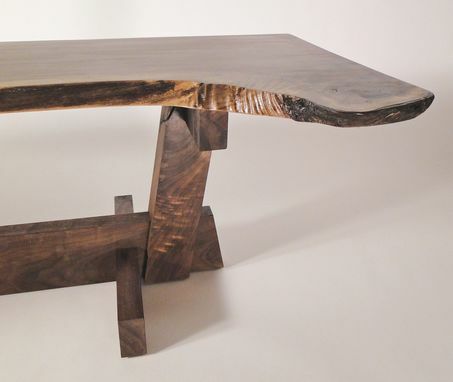 This table measures 16" wide x 60" long and 18" tall. Each is made to order so it will be unique! Please allow 4-6 weeks for assembly. This is available with different leg options as well, just let me know what you are looking for. If you live in Wilmington NC or the surrounding area I'll deliver and setup your piece at no cost! Just shoot me a message before you purchase.